Happy Canada Day, Happy Summer! Our office has been incredibly busy the last two months, and I’ve been tardy on preparing a newsletter – but I think you will find this issue worth the wait! It’s a comprehensive update on major ward activities and will provide you with interesting summer reading! It’s an honour being your City Councillor and if you have a chance, I invite you to visit me at the St. Norbert Farmers’ Market on Saturday mornings, where I will have a table reserved for Coffee & Conversation! Watch my website for future dates and times, and pop by if you can! Enjoy our beautiful Manitoba summer! 1. 68,000 Residents in South Winnipeg–St. Norbert Ward - Most Populated Ward in Winnipeg! Stats Canada 2016 data has confirmed our ward is THE most populated of the 15 wards in Winnipeg, with an estimated 68,000 residents! This brings great opportunities and some very big challenges! One of the challenges I find as City Councillor is being able to return phone calls and e-mails in a timely manner! We have tens of thousands more residents than other City wards, YET we are provided with the same resources as a ward with 32,000 residents. If you are awaiting a response, we ask that you please be patient as we will get back to you! To see details on the Stats Canada results, read The Challenges of Rapid Growth. We have FIVE big Canada Day celebrations in our ward happening throughout the day and into the evening – and I’m going to all of them! Join me at Bridgwater Forest, St. Norbert Community Centre, Van Hull Estates, South Pointe and the St. Norbert Farmers’ Market! The St. Norbert Farmers’ Market starts at 8:00 am and winds up at dusk with a massive fireworks display! 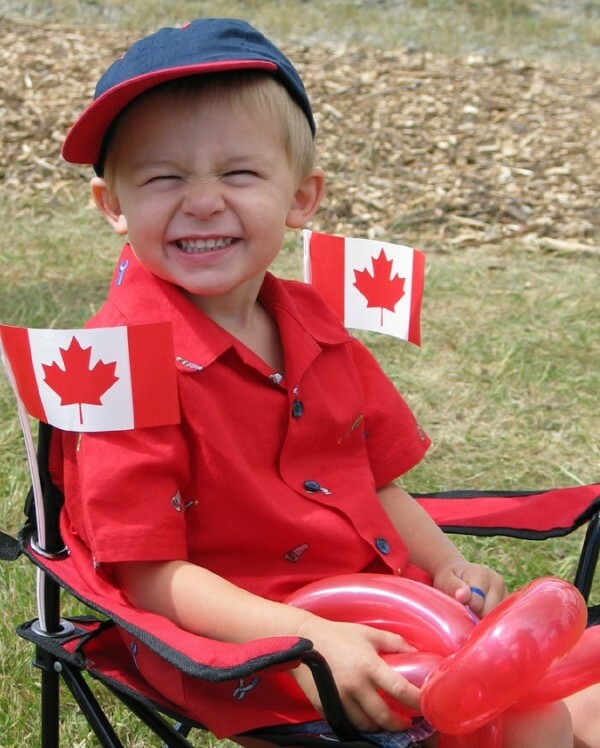 See Canada Day Celebrations! Please join myself, dignitaries and members of the public for the opening of the new Stadium Station and Bohémier Trail on Tues., July 4 at 10:30 a.m. The opening of this highly anticipated Winnipeg Transit station will have a positive impact on transportation in our community. The Stadium Station will be fully operational on Friday, July 7 for the Blue Bombers' home opener! See Invitation. I’ve been your City Councillor for nearly three years. During that time, I served for two years on the Mayor’s Executive Policy Committee (EPC – commonly referred to as the Mayor's Inner Circle), followed by almost one year as a non-EPC Councillor. I've learned that the access to information is dramatically different, based on which side of the table you are on. Decisions are made based on available information, and I strongly believe ALL Councillors should be able to access information in a timely manner. I’m also supporting a call to review the governance model under which City Hall operates, as no Winnipeg Mayor has wanted to review governance in almost 20 years. Because Councillors utilize this framework to access information and make decisions, it’s high time we hold a governance review. I've been doing an extensive amount of work on these and other accountability issues, as they are critical in evaluating how City Hall should invest taxpayer dollars. I’ve posted many articles on my Accountability page. • We are setting up a data analysis system and much more. I’ve posted a lot of updates at Rental Housing, but have more to come. Probably MOST exciting is we have a recent Asper School of Business graduate interning at our office this summer, and she will be doing additional work on this file! REMEMBER – if you are reporting potential by-law infractions, the http://www.neighbourhoodassociation.ca/ website has been built for YOU to make reporting easy and effective. See this web page on HOW TO REPORT by-law infractions. For decades, there has been poor pedestrian access to Victoria General Hospital. Visitors parking in the Hospital's back parking lot have to walk on the road, while those using south-bound Winnipeg Transit have to maneuver from the bus stop across 6 lanes of traffic on Pembina Highway and dodge a U-turn at a 3-way intersection. Not good. It’s taken nearly a year of persistent effort, but the Winnipeg Public Service is recommending $150,000 be invested in 2018 to construct sidewalks, relocate the south-bound Transit stop, and improve pedestrian crossings on Pembina. Thank you to all who have worked with me on this initiative. See details at Victoria General Hospital. I am working with the City's Public Works Traffic Engineering Department on a series of traffic calming pilot projects. My office receives many, many phone calls and E-Mails requesting enforcement to address speeding vehicles. While enforcement is effective – it is not sustainable. There is a high cost to sending out enforcement and it provides only sporadic, temporary results. I am conducting pilot projects at several locations in our ward which change the built environment, thereby changing the driving conditions. For details on the Kilkenny, Aldgate, Dalhousie, and Bridgland Drive North pilot projects, see Traffic Calming. Much work is occurring in the Neighbourhoods of Bridgwater – specifically, in the community of Bridgwater Forest. A HUGE thanks to the hard working volunteers of the Bridgwater Forest Neighbourhood Association for all they are doing to ensure a strong, beautiful community! For a comprehensive update on the health of Bridgwater Forest, the fountain and greenspace maintenance, see Bridgwater. I’m really pleased to be making good progress on improvements to the parks and greenspace in our ward. In 2017, we have significant upgrades occurring in King's Park, Grandmont Park, Kirkbridge Park, La Barrière Park, and more. To learn more about these upgrades, as well as those planned for 2018, see Parks & Greenspace.